Made in New Mexico: Structural Diversity is an exhibit at the New Mexico State Capitol Gallery (aka The Rotunda) from Friday, April 14, through Thursday, August 17, 2017. 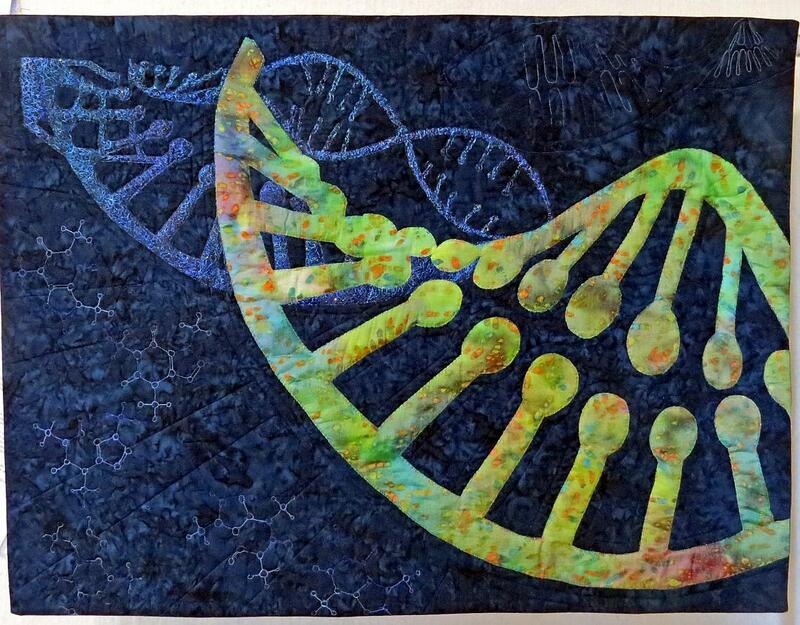 The group of artists belonging to the New Mexico region of Studio Art Quilt Associates, Inc., is dedicated to exploring the use of fiber in fine art. There is an opening reception on Friday, April 14, from 4 to 6 pm. The interpretation of the theme of structures resulted in many points of view, from human architecture, ancient and modern, to animal constructions, to anatomical and mineral formations. A range of scale is expressed, from sweeping landscape vistas down to the molecular level.